Acerbis plastic is used all over the world by motocross champions. Acerbis plastic can easily be installed to change the color of your machine or to replace any broken plastic. The Acerbis Lower Fork Cover is designed to mount easily on the stock location on inverted forks and is also designed to have the same original factory shape that is on your machine. 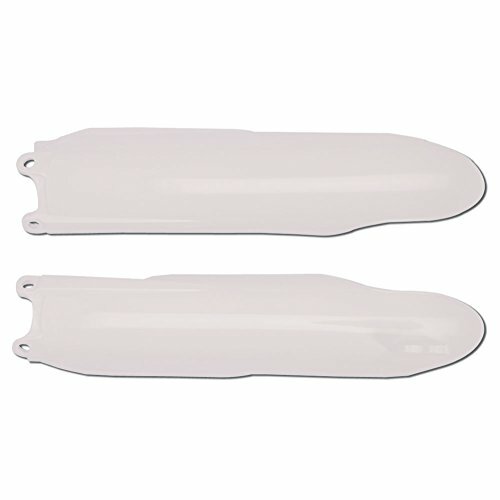 The Acerbis Lower Fork Covers heavy duty molded plastic will keep your forks protected. Quality injection molded plastic from Italy. Comes in a set with left and right side. If you have any questions about this product by Acerbis, contact us by completing and submitting the form below. If you are looking for a specif part number, please include it with your message.